ARM has presented its roadmap for future CPUs, saying that they’ll be able to outperform Intel chips. If so — and there’s a difference between a company’s hype and reality — ARM-based Macs are almost certainly coming down the road. ARM says its upcoming CPUs will boost performance by more than 15% each year between now and 2020. It says this trajectory will “surpass Moore’s law,” which says that the number of transistors in a dense chip doubles every two years. The follow-up to Cortex-A76 will be codenamed “Deimos” and delivered to ARM partners in 2018. Optimized for the latest 7nm nodes, Deimos is based on ARM DynamIQ technology and is expected to deliver a 15-plus percent increase in computing performance. In 2019, the CPU codenamed “Hercules” will be available to ARM partners. Also based on DynamIQ technology, it will be optimized for both the latest 5nm and 7nm nodes. “Hercules” purportedly continues the trajectory of increased compute performance, while also improving power and area efficiency by 10% (in addition to the efficiency gains achievable from the 5nm process node). I’ve said before that it’s only a matter of time until all of Apple’s hardware devices will be powered by ARM-based processors, including the Mac. A 2017 Bloomberg report, said Apple was designing a new chip for future Mac laptops that would take on more of the functionality currently handled by Intel processors. I believe the report is accurate. What’s more, I think Apple’s homemade processors will eventually appear in Mac desktops, as well as laptops. Apple is already building its own iPhone, iPad, and Apple Watch chips. It has also created fingerprint chips, and designed a chip for its AirPods that allows pairing with other Apple hardware. The tech giant also built the AI chip powering the iPhone X.
Apple will replace Intel chips in Macs with its own custom-made chips in 2020, Bloomberg News’ Ian King and Mark Gurman report. The project is code-named Kalamata, is still in the early developmental stages, but comes as part of a larger strategy to make all of Apple’s devices -- including Macs, iPhones, and iPads -- work more similarly and seamlessly together, the article adds. The project, which executives have approved, will likely result in a multi-step transition, per Bloomberg. 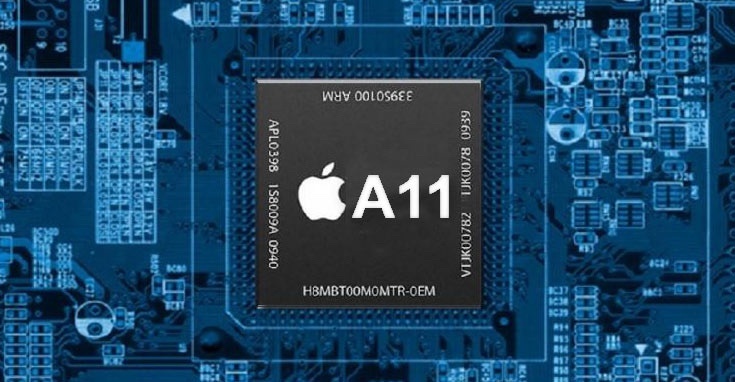 It’s not hard to imagine all Mac laptops, iMacs and Mac minis using the descendants of Apple’s A11X system-on-chip (SoC) solutions in the near future — with the Mac Pro taking longer to make the switch.